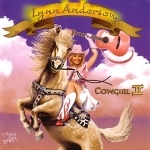 Lynn Anderson - "Cowgirl II"
This CD was almost titled "family and friends" because it so describes this project. Good friends like my cutting horse buddies, the distinguished actor Barry Corbin and my old compadre radio hall of famer Bob Kingsley - both of whom added their cowboy voice-overs on "Turn The Herd" and made it very special and loads of fun. 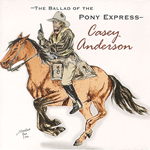 Casey Anderson - "The Ballad Of The Pony Express"
The original Pony Express was organized 150 years ago in 1860 between the U.S. Postal Service and three American transportation pioneers - William H. Russell, Alexander Majors and William B.Waddell. The Pony Express Riders were all very young and mostly single. When the U.S. Postal Service celebrated the 100-years of the U.S. Mail in 1960, there was a re-enactment ride across the original trail. This ride was 1966 miles between St. Joseph, Mo. (which was the westernmost point that the railroad and the telegraph had reached) and Sacramento, CA. 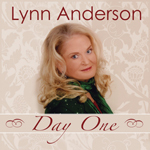 Superstar LYNN ANDERSON has a new Western CD - �COWGIRL� - a collection of 12 songs - some old -some new - all great. 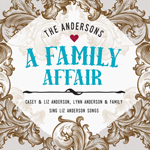 Lynn is co-writer on one of them with her songwriter mother - Liz Anderson �FULL MOON IN BAGHDAD� - a beautiful patriotic love song. Now we go to the Old West and listen to songs for the cowboy and cowgirl in all of us. We have the 'Sons Of The Guns' CD where Liz Anderson sings "The Gunslinger" then introduces Casey Anderson and the other 'Sons' - Mark Moseley, Jim Mundy, Gray Stream and Joe Barnhill to sing songs about The West. Then Liz Anderson does 'The Cowgirl Way' - A great collection of western songs like 'Wild Wild Women Of The Wild Wild West', and 'Cowboys Are A Girl's Best Friend'. Casey Anderson does three guest vocals on this CD - one is called 'The Six Gun Kid' where he wears six guns - not just two. A very timely song - "Are You Hungry? Eat Your Import!" 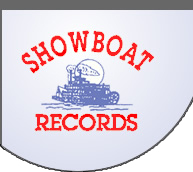 is from one of your favorite singers of the past. Faron Young had one of the best voices in the country music business. For very young children, and the child in all of us - we take you to 'Golden Rainbow Land' where Liz Anderson as "Fairy Grandmother" sings children songs to warm your heart. Two CDs are available (see below).